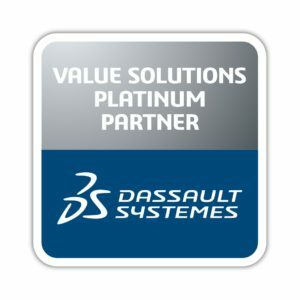 Dassault Systèmes’ recent release of 3DEXPERIENCE R2019x boasts over 200 new features and functions. With its cloud capabilities, role-based functionality, and all the apps on one dashboard, it provides a revolutionary level of collaboration and user experience. 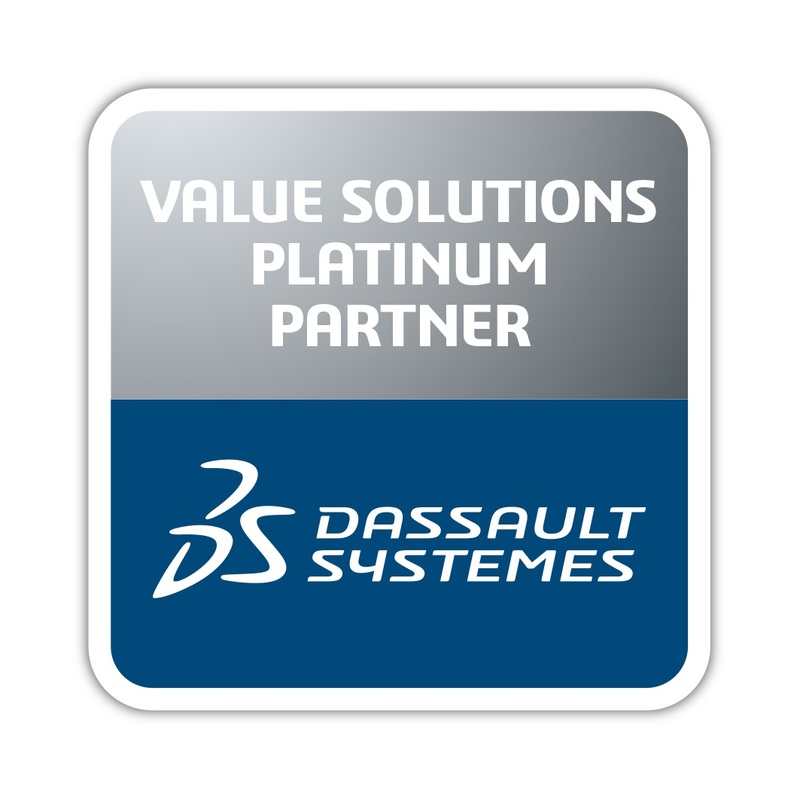 This release widens the lead Dassault has as the largest cloud offering, for businesses of any size, in the PLM industry. In fact, it encompasses 95% of the most advanced and comprehensive design & engineering portfolio on the market. Let’s take peek at the basics of the platform and then jump right in to some of the highlights. People with different skills and roles, and located in various locations, need to work together. 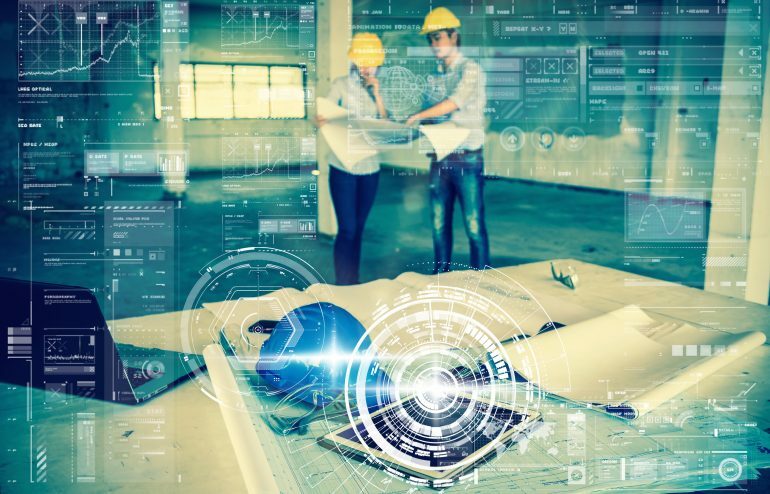 Open and easy collaboration as well as data compatibility throughout the design, manufacturing, and production processes are vital in developing innovative products successfully. This cloud platform provides a single, easy-to-use, role-based interface. 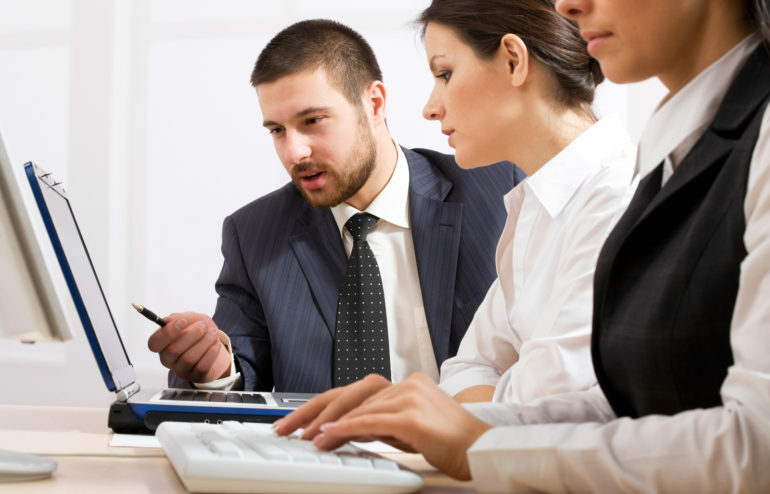 There are software solutions for the entire creation process and for every organization in the company, from engineering to marketing and sales. 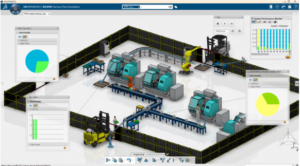 Hundreds of roles, such as Mechanical & Shape Designer, Product Release Engineer, Supply Chain Director, Collaborative Forecaster, and Platform Manager, are embedded into four major areas—3D Modeling, Content and Simulation, Information Intelligence, and Social and Collaboration applications. Roles easily allow users to select apps and services with one click. The nice thing about the interface is that the apps and services are all available on the 3DDashboard (shown below). 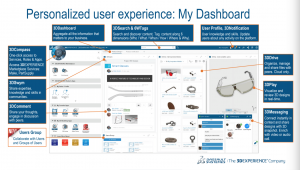 3DDashboard delivers real-time intelligence and improved collaboration for the Business Innovation Role. Users can see everything that’s happening all on one dashboard 24/7. They can analyze data from all sources, visualize and review 3D designs in real-time, and share dashboards, insights, and files. Data is compatible throughout the company, from creating ideas to manufacturing the end product. Users can navigate, review, and compose assemblies at an extraordinary pace. R2019x added a rich text editor and Search enhancements along with Merging and Duplicating by drag & drop. Concurrent editing prevents another user from erasing content previously added on the same app instance. Organize, manage, and share files with peers (only in the cloud). Seamless interaction and rapid switching between apps in your dashboard allows 3D review on projects. This app was a hot topic. 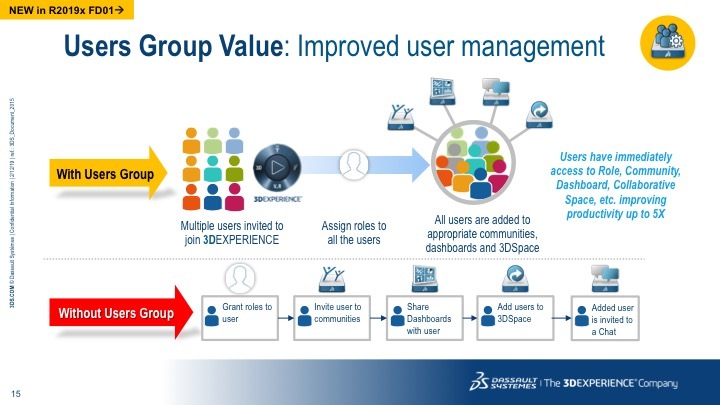 You can now invite multiple users, instead of just one, to join 3DEXPERIENCE where roles are assigned to each user. Then they are added to relevant communities, dashboards, and 3DSpace for easy collaboration. This helps to improve productivity up to 5X. Users can visualize 2D and 3D content directly from a browser in 3DPlay and on multiple devices to speed up design iterations. It includes enhancements to the 360 images with support for spherical and cylindrical images. Fly Walk was updated to enable a user to benefit from Touch support, Align to Ground feature, and automatic speed depending on the size of the model. Support for seamless switching between Full 3DPlay and 3DMaster apps like 3DReview and 3DCompose. 3DPlay now supports the new “advanced Filters” in 3DSpace (Web). Designers now have the ability to transform 2D ideas into 3D virtual reality using the CATIA Natural Sketch. Designers can plug-and-play their HTC Vive head mounted display to jump into VR from their 3DSketching app and instantly design and model in 3D VR space creating an immersive experience. This 3D mobile, browser-based, generative modeling (wireframe and surface design) replaces programming with graphical visual scripting (low code approach) combined with interactive 3D modeling. This intuitive approach allows the creative experts in Architecture, Design/Styling, and Engineering to quickly explore, design, and validate options for complex, irregular shapes and patterns. Unique to this function, the user can swap between the interactive 3D and the graph. This capability pushes creativity and helps users to be more productive leading to more successful designs. 3DPassport provides a higher level of security through authentication and authorization with Single Sign-On (SSO) Services along with 2FA Authentication. 3DCompass delivers compliance with General Data Protection Regulation (GDPR). It offers data protection and privacy regulations on the cloud. 3DCompass allows Platform Admins to download and install Native OS applications. CATIA V5 launcher, SOLIDWORKS Desktop, and any third party app can be installed and fully functional to access the platform for Simulation, Manufacturing, Collaboration, and Engineering capabilities without migrating or translating CAD data. Generates optimized conceptual assemblies refining the shape globally or locally. Digital continuity. 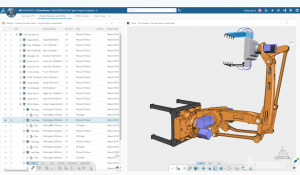 Extends AM digital continuity and enhance AM from function-driven design, optimized process, and realistic manufacturing, to bringing the model from Virtual to Real with the Make service of the 3DEXPERIENCE Marketplace. Digital continuity is unique to Dassault Systèmes end-to-end AM. 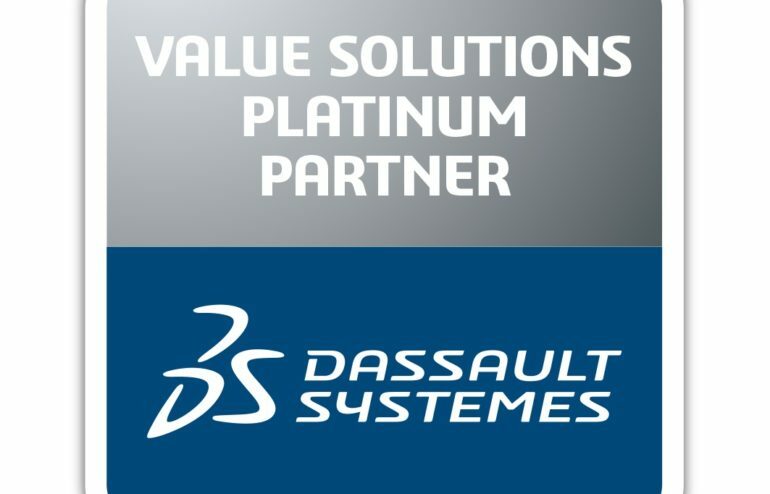 These are just a handful of the powerful and unique enhancements Dassault Systèmes recently released in 3DEXPERIENCE R2019x. It gives PLM, without a doubt, a revolutionary level of collaboration and user experience on the cloud. People can work smoothly together regardless of location, device or role and streamline their workflows. They can quickly develop ideas and design concepts in 3D, test and experiment in real time, assess challenges early on, and share accurate, up-to-date data. This all leads to creating innovative products more effectively and successfully. 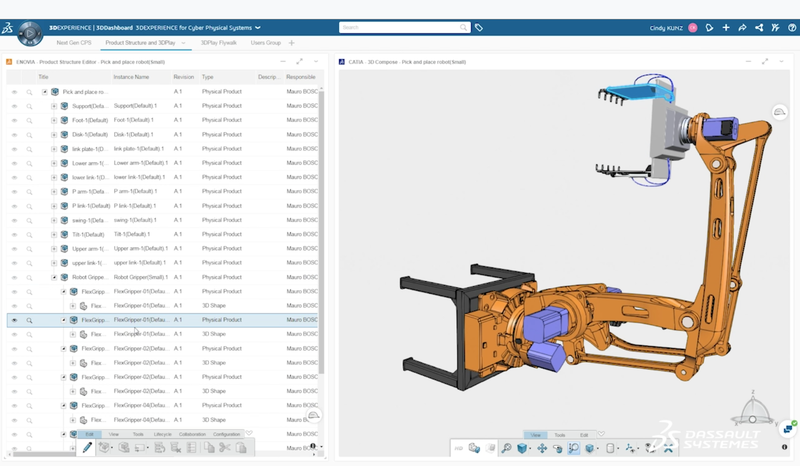 Get more details on over 200 new features and functions in 3DEXPERIENCE R2019x here. 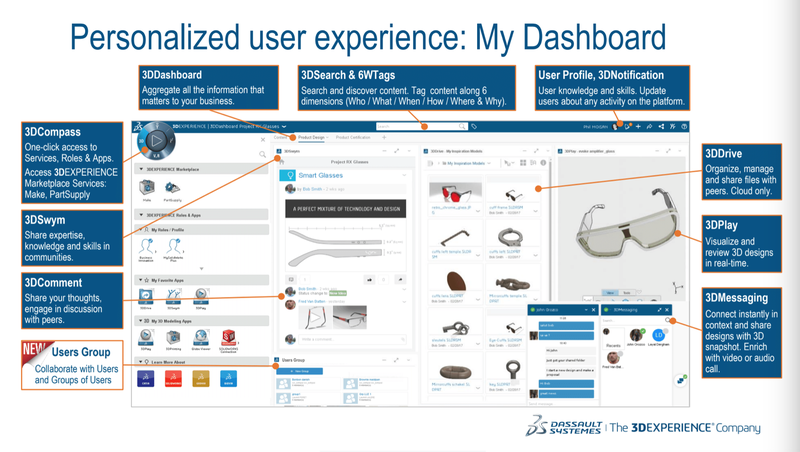 To find out more about how the 3DEXPERIENCE Platform can help you overcome your challenges in bringing new products to market, contact us. Composites is an especially challenging arena: few manufacturing or design processes exist that contain more variables than that of composites. 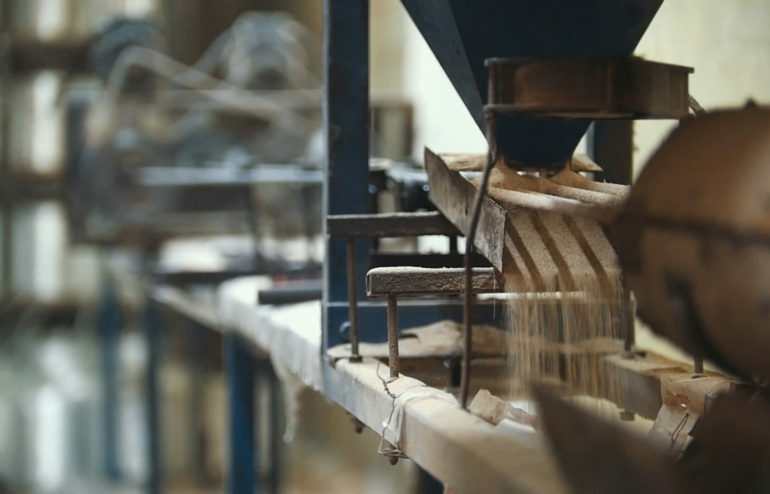 That’s because in composites, manufacturers start with flexible material made up of fabric and resin, which has to be mixed at a perfect ratio, then formed to a precise shape, and then cured at the right temperature for an exact amount of time. That’s a lot more variables than carving away at a single block of metal or casting a metal part in a mold. Schenck explains that the manufacturers he works with don’t often bid a manufacturing process, receive the contract, and produce. Instead, they typically have to prove they can do the work before the contract is awarded, by producing a single part and thereby demonstrating they understand the design received and can deliver the correct end result. Only then might they win the contract to produce tens, hundreds, or even thousands of parts. Composites are more of an industrial black art than a science, according to Schenck, and as such, there’s a lot of tribal knowledge held by those with significant experience in doing the work. Which means that the first key for manufacturers wanting to get composites right is either having the right people in place already—experienced composite engineers and manufacturing staff—or securing the training required to develop competency in the desired composite techniques and processes. In some cases, manufacturers may need to start with education or consulting to help select the most efficient and repeatable composites process for bidding on a contract. After you’re sure you have the right people in place, the next vital step is determining the process you’re going to use, which begins with understanding the types of parts you need to create. The process you choose will also dictate the tooling you need—for example, a hand-layup requires tooling with a very low coefficient of thermal expansion so the parts don’t change size, since you’re curing parts in an oven or autoclave. Tooling is one of the hidden risks Schenck has identified over the years—he’s seen plenty of manufacturers make a mistake early in the process and incur a lot of risk and cost later on. With a clear understanding of the parts to be made and the chosen process—and tooling—to make them, manufacturers lastly should focus on the accuracy of the initial parts and tooling. In Schenck’s mind, the only way to ensure part and tool accuracy is to integrate software tools that will not only help manufacturers prepare digital models for the manufacturing process, but will also capture lessons learned and best practices as institutional knowledge for the future. Schenck can’t emphasize the need for accuracy enough. Manufacturers live and die by the accuracy of their parts, and he believes cutting corners on horsepower and capabilities that contribute to accuracy is simply foolish. Given his experience, it’s no surprise Schenck recommends CATIA for composites—in his view, it leads the field in power and functionality. He gives an example of a frequent customer pitfall: not spending enough time with a part’s geometry up front—not considering that the engineering edge of part (EEOP) isn’t what the manufacturer needs to build to because they need to give themselves margin for the manufacturing process. With CATIA, it’s a simple process to extend the edge of the part to the manufacturing edge of part (MEOP) to ensure ease-of-manufacture and increase the likelihood of final part accuracy. 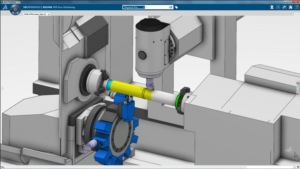 CATIA also captures the knowledge gained from each manufacturing process and stores it to help inform future work. 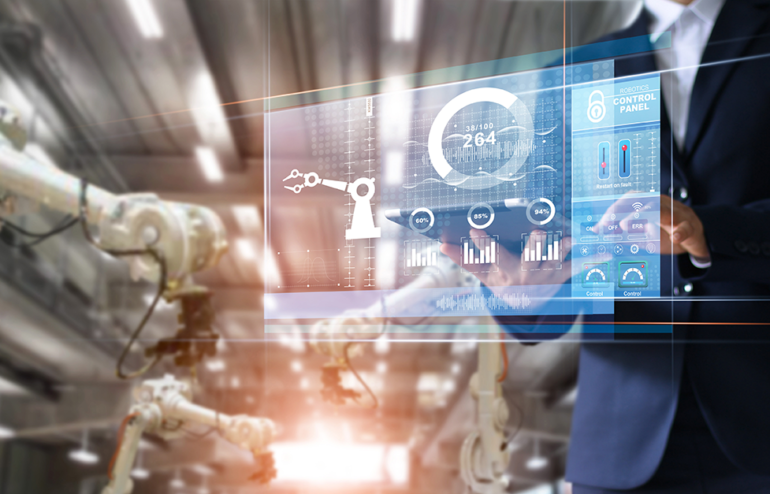 With high turnover rates, attrition, and an ever-changing industry, it’s smart to be able to define and store digital processes that mimic real-world needs for physical manufacturing. It’s also smart to capture the tribal knowledge that typically only exists in workers’ heads. Adaptive would be happy to share more information about CATIA’s composites capabilities, as well as Schenck’s extensive experience with both software and manufacturing processes. Fatigue Methods for fe-safe is a live online course presented by SIMULIA. The course covers the metal fatigue methods implemented in fe-safe including infinite life, stress life, and strain life fatigue. Why is metal fatigue important? Because fatigue failures are expensive. A component failing before its intended useful life can mean expensive product launch delays, product recalls, warranty claims, and legal liability. According to NIST and Battelle institute studies in 2004, fatigue failures cost companies $190 billion annually, when corrected for inflation. No problem! All examples will be demonstrated by Dassault Systemès Instructors!